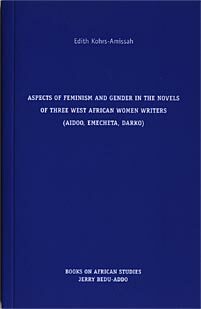 This research is about the recent novels of three famous female writers, Buchi Emecheta (Nigeria), Ama Ata Aidoo (Ghana) and new on the literature scene Amma Darko from Ghana. The theoretical approach developed in this work tries to show that a new definition of the term African Feminism in literature is necessary. This can't be done by white feminists like in the past but only in a dialogue between African Writers and their critics and in a second step it can be discussed in an intercultural dialogue with western feminists. Only female African Writers can define what is important for an African Woman in their lives and put themselves in a relationship to men. What might be problematic to articulate in science and day to day live is easier to express in fiction. That's why more and more African Women express their experiences in literature. They are the progressive force to break stereotypes of African Women in the past created by men. It's the double decolonisation of European rule and the rule of men which makes it so hard for African Women. But the three authors presented in this book are showing three ways to handle the problem.